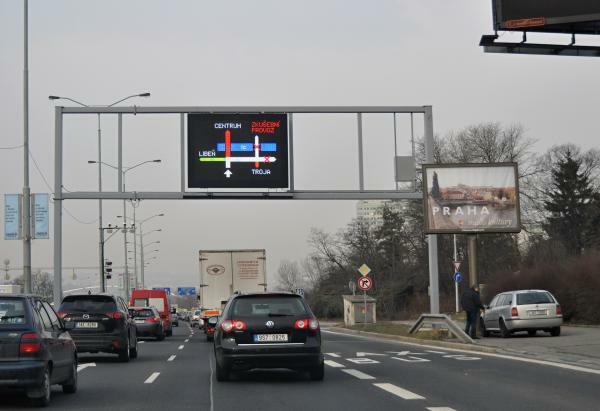 In end of 2012 and beginning of 2013, we could notice new light information boards for drivers in Prague city. 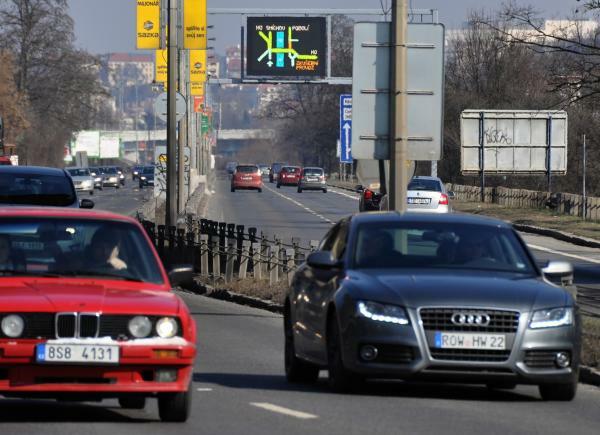 The main goal of this project is to inform drivers by text messages and easy graphics about traffic situation in front of them. 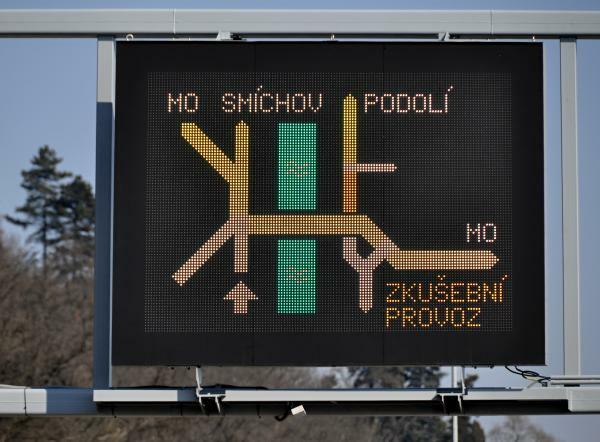 Drivers are getting these useful information in places where they may decide and change their way. 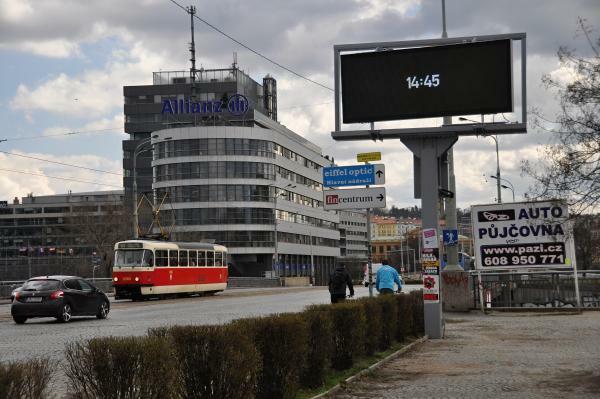 Together there were placed 51 such traffic information boards. 34 of these boards have our control system Tecomat Foxtrot inside. The overview is in this map. What functions are performing by Foxtrot? Each gate contains one ore two separate full-color (RGB) graphic field from high luminous LED diodes, very well visible from far away and in direct sunshine. For these fields, Tecomat Foxtrot prepares required final information. The information is composed from commands receiving by wireless network Tetra. 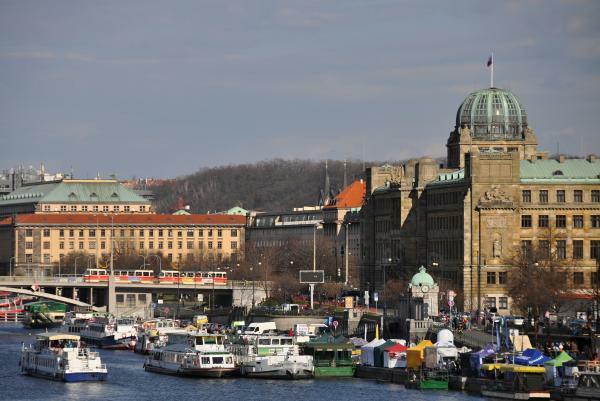 The network has been working in Prague since 2000 as a part of integrated rescue system and it has a possibility to transfer data by form similar to SMS messages. Foxtrot in the gate is decoding the messages with commands and then is sending final text or bitmaps to the board. Foxtrot also manages functions concerning the control of board brightness. It measures intensity of lighting by sensors and outside temperature as well. Foxtrot manages situations of communication failure. It controls a local interface for communication with maintenance staff and for transfer of new graphic signs and symbols at gate base. Foxtrot transform diagnostic messages of each light board and transfers them into the center, so in case of the maintanance staff may act as soon as possible. 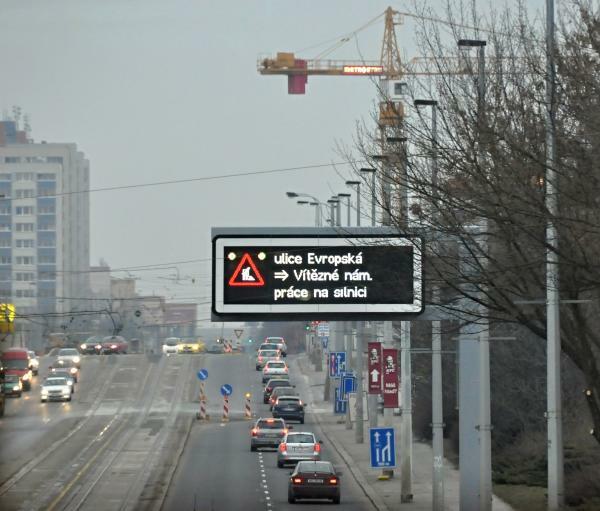 What is the most visible for drivers in this project, is displayed information. We have to mention, that Foxtrot is receiving the message and interprets it to the light board. Foxtrot doesn´t interfere to the logic and content of the information. 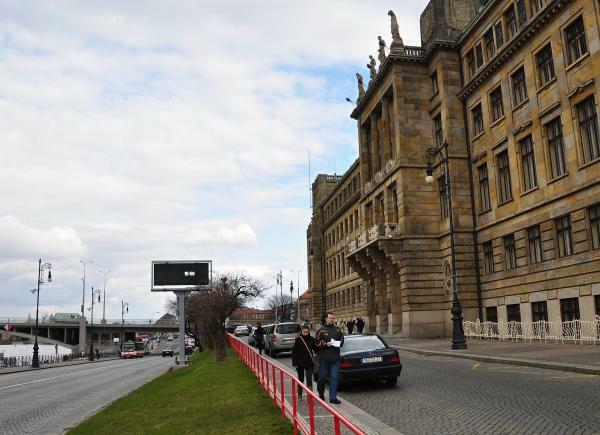 All the logic of traffic control is a matter of traffic headquarters and from first days they are monitoring the traffic process and optimising the control of it.